This weekend in Cleveland marked the beginning of filming for Bruce Willis' new action picture "Acts of Violence." 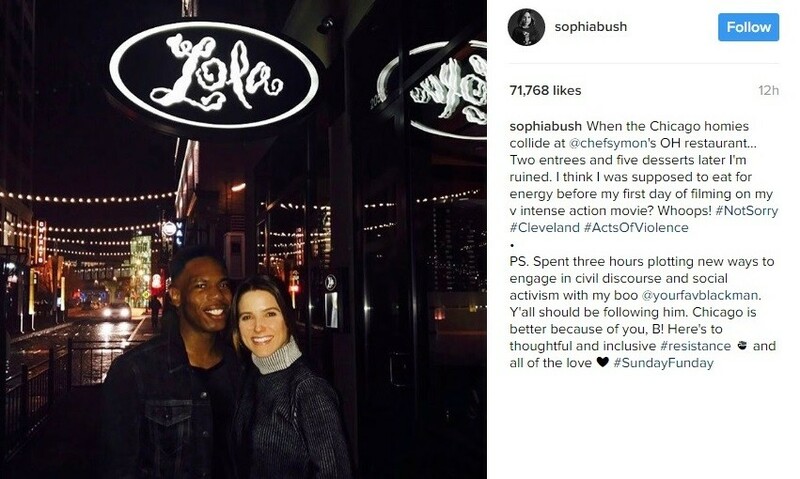 That means you'll might be seeing some celebs around town, like Sophia Bush for instance, who took in dinner on East Fourth. The actress/activist, who can also be seen on Chicago P.D., said that the two entrees and five desserts she sampled at Michael Symon's Lola "ruined" her. Been there, Sophia. But all of those carbs are sure help with the intense action of "Acts of Violence," in which a cop (Willis) infiltrates a human trafficking ring. Mike Epps stars as the bad guy. Locals can also be a part of the filming process. Project Casting put out a call for teenagers in the Cleveland area and were previously on the hunt for extras for outside shots and even a gentleman's club scene. 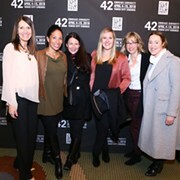 Willis will also begin production on another film shooting in Ohio starting in July, reports Deadline Hollywood. That one is called Reprisal and is directed by Brian A. Miller.